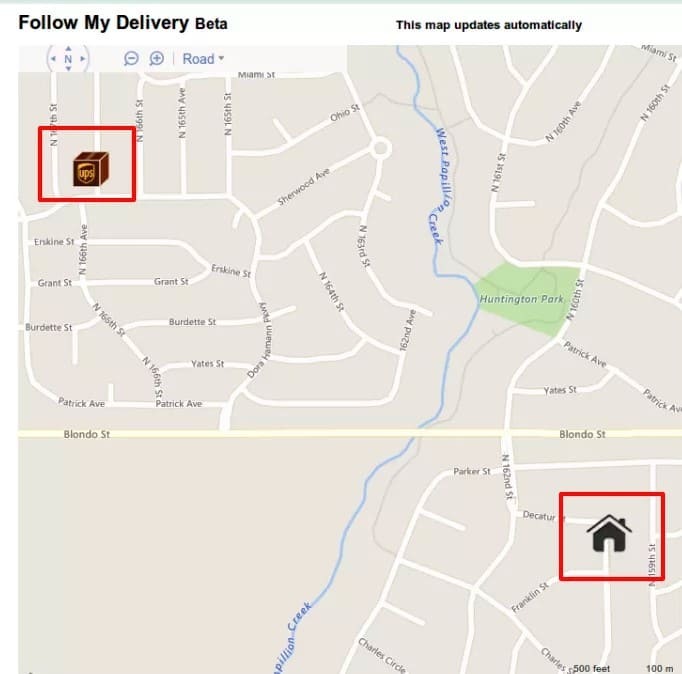 “UPS Follow my Delivery allow users to track packages in real time on a live map”. 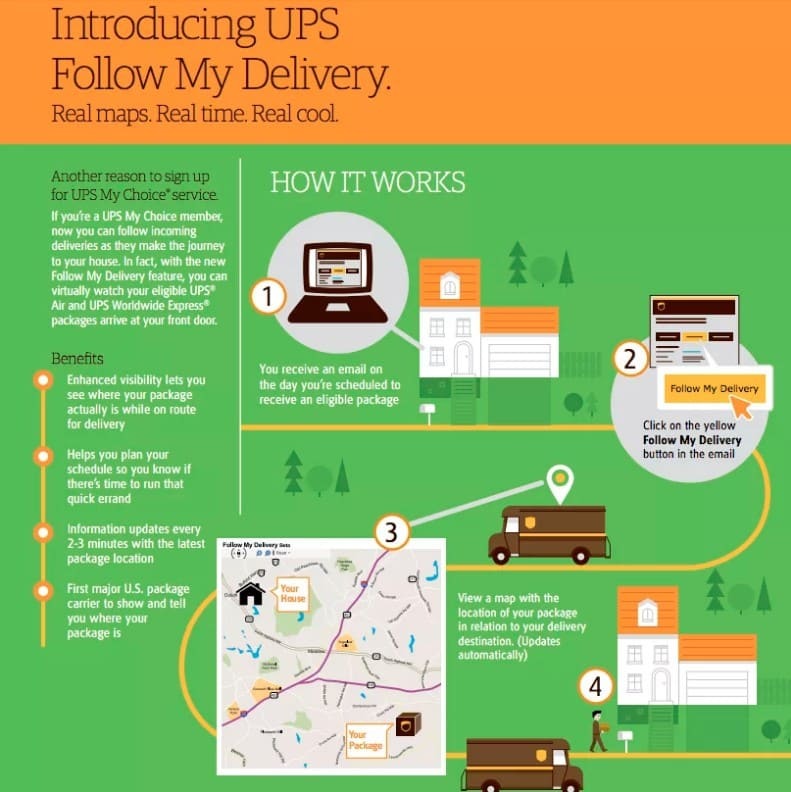 UPS has introduced Follow My Delivery feature through which users can actually track the moment of their packages on a map in real time. Isn’t it cool? If you’re among those people who constantly check the delivery status of their packages, then, here is the right service for you i.e. Follow My Delivery, available for all the customers who have signed up for UPS My Choice. This is a very useful feature from UPS to their customer. Follow My Delivery is available for packages sent using UPS Next Day Air, UPS Worldwide Express, and UPS Worldwide Express Plus. Here we’ll understand what is UPS follow my delivery, how it works, how to use it, what to do if UPS Follow my Delivery is not working, UPS Follow my Delivery live map and other important details. How to Use UPS Follow my Delivery? Now let’s understand how this service works? A recipient receives an email on the day when their shipment is loaded onto a truck a truck for delivery. There must be a Yellow Button that says “Follow My Delivery”, click on that button, a new web page will open on your screen with a map of your local area. Both the package’s destination and current location are clearly visible on the map. The map will update automatically in like every 2-3 minutes, allow users to actually see the visual moment of the item in the map pointed to an icon. Please note that the package icon on the map does not indicate the order of the driver’s stops or an exact delivery time. People often ask this question “Where to find the UPS follow my delivery link?”. The link will be sent to the recipient via an email. Check your email to find the tracking link and click on the Yellow “Follow My Delivery” button. The tracking map will be shown only when the truck driver starts to deliver the item to its route. You can’t see the map after the successful delivery or the end of the driver’s day. If another delivery attempt is made, then you’ll again receive an email next morning with a link to a new map. Just an example of how your live map will look like. Click on the Yellow “Follow my Delivery” button you received via an email to start real-time track of package or mail item on a live map. The map will update automatically every 2-3 minutes. Hopefully, you get enough information related to UPS Follow My Delivery. If yes, then why not share with other people as well on social media platforms. Do let us know if there is anything you want to know or add-on. Your feedback is valuable and helps us improve for better.